We all love to see strong, sleek and shiny hair glowing with health and vitality, however, some hair types need more than shampoo and conditioner to achieve this look. For those of us with very curly, wavy or slightly unmanageable hair there is help available in the form of kerastraight treatment. This product has been available for some time, but we still get asked, what is kerastraight treatment? For someone who is trying a straightening process on their hair for the first time, then this is an ideal introduction. 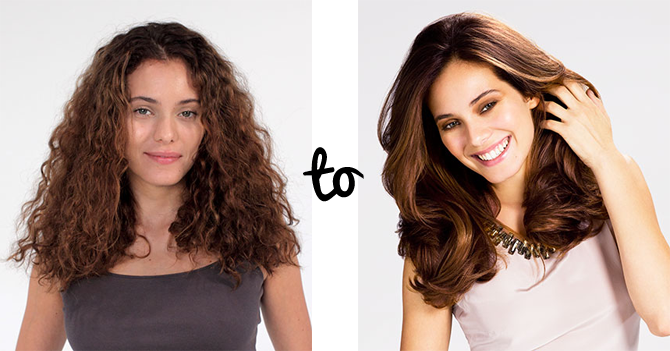 First of all kerastraight isn’t permanent, depending on your hair type it lasts for three to five months. This gives you the chance to see if the dead straight style actually suits you, your hair cut and your overall image. It’s also really great if you are planning a certain hair style for a special occasion like a wedding or birthday party as you can experiment with your look and change it back to your original image. For those who prefer not to use harsh chemicals on their hair, then kerastraight treatment uses keratin which is a natural product. Keratin actually binds to each strand of your hair, coating and penetrating the cuticle to make it straighter and stronger. It is a myth that kerastraight treatment can only be used on very coarse or wavy curls as it works very well on fine and “flyaway” hair. If you are looking to give your hair that extra volume and bounce then spending a few hours in the salon will dramatically reduce the frizziness giving you manageable soft and shiny hair. You even get a chance to try out a cut and style that you hadn’t thought possible before. The kerastraight process actually accentuates the cut giving you double the value for your money. Plus you can colour your hair two days after the treatment, and if you like the overall look then it should last for at least 30 days before reapplication. So, if you are asking yourself, What is kerastraight treatment? the answer is simple. One quick visit to the salon, with a pre-wash, kerastraight application, blow dry and hot ironing of the hair and you have the fabulously straight, gleaming and luminescent locks with the strength and shine that matches up to any glossy photographs in the fashion magazines.